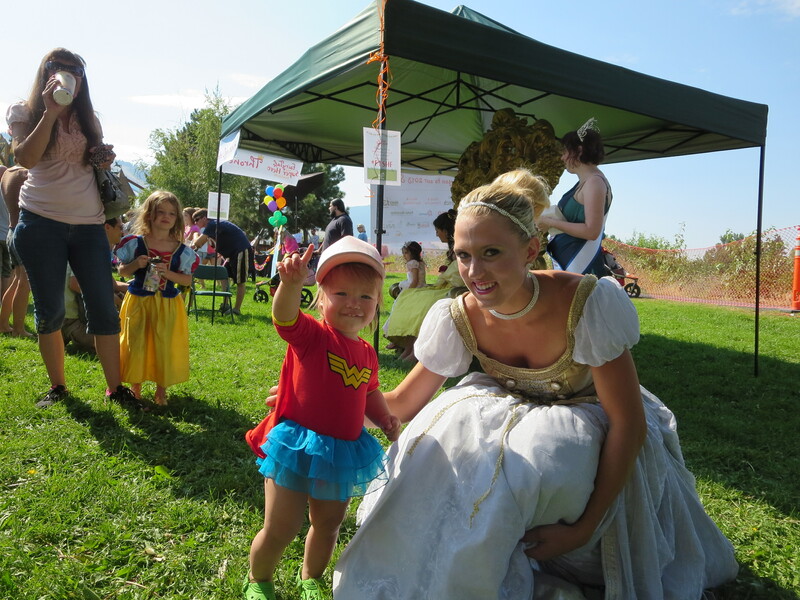 A few years ago, Matt and I happened to be near Dragon’s Hollow playground in Missoula, probably hitting up some brew festival living the cool life, when we came upon the Fairy Princess and Superhero Festival. It made my uterus hurt it was so cute and we dreamed about the day we would bring our own superhero or fairy princess to the party. That day finally came this past weekend! Matt took a couple of hours off from studying for the bar to come with us – he needed a healthy dose of cuteness and boy did he get it. 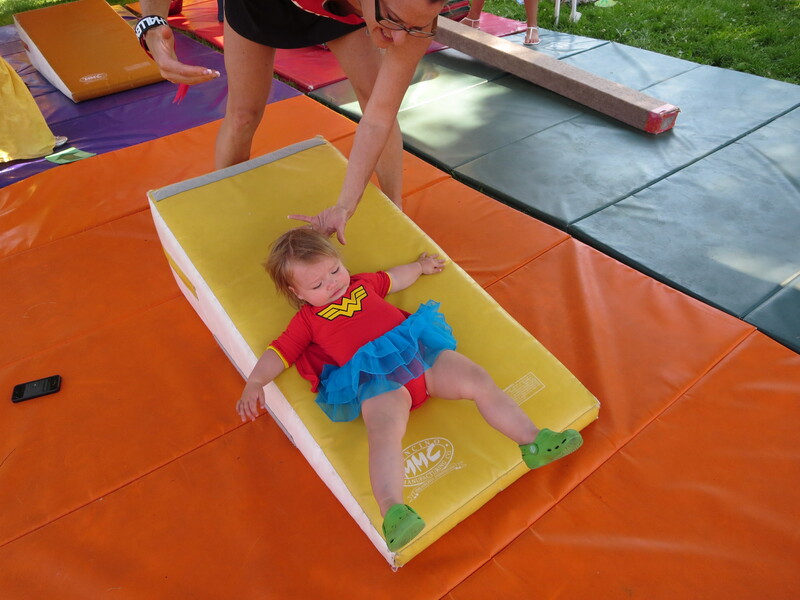 When we started to dream up the cutest possible costume for Josie we knew that she fell more in the superhero category than fairy princess. Josie’s goal in life is to cause trouble so if there had been a baby villain category that may have been more fitting. 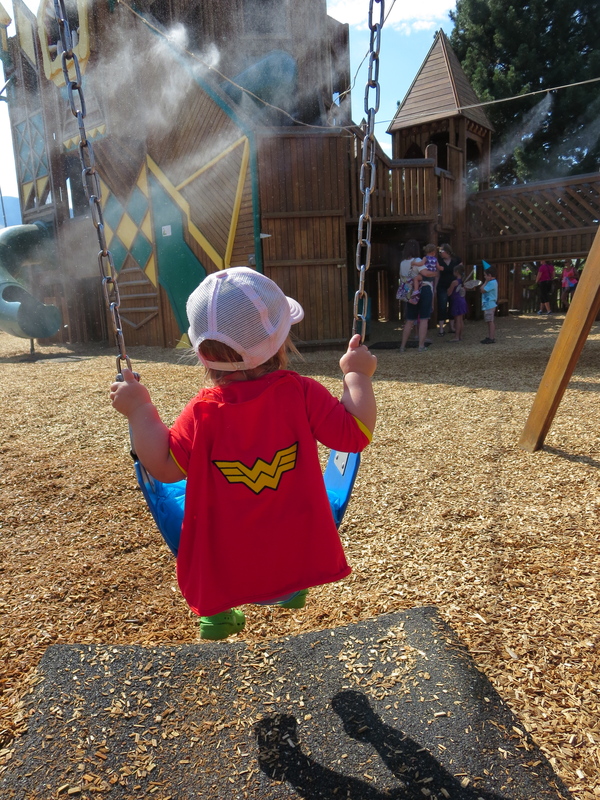 It turns out that this was the perfect opportunity to rock her Wonder Woman outfit my lovely cousin Rachael gave her months ago – thank you cuz! It was sized for a 6 month old so I really had to stretch the fabric over her 17 month rolls. I will shut up now and let the cuteness abound. We attempted to wait in line to plant our own fairy garden, make a magic wand, look at the firetruck and sing on stage, but Josie’s attention span for waiting in lines was about 4 seconds. 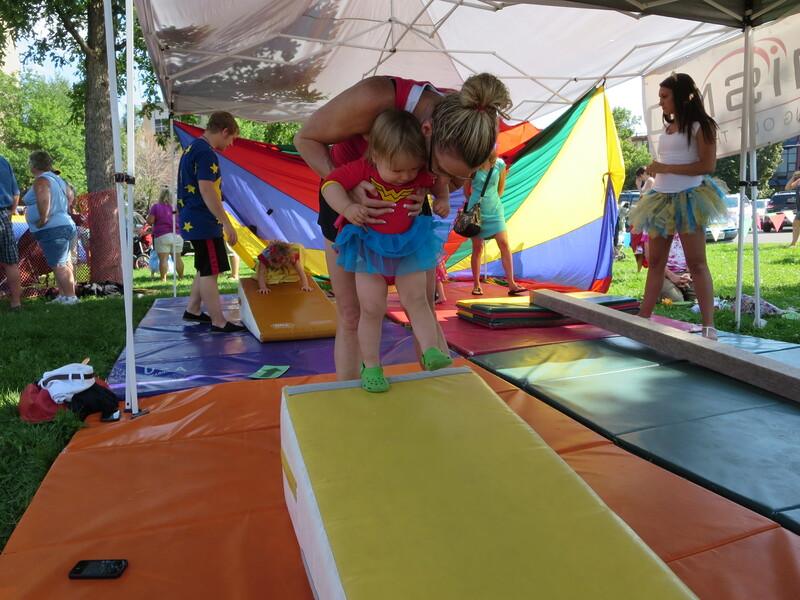 She bobbed and weaved through the crowd right to the place that she really felt at home – the gymnastics tent. 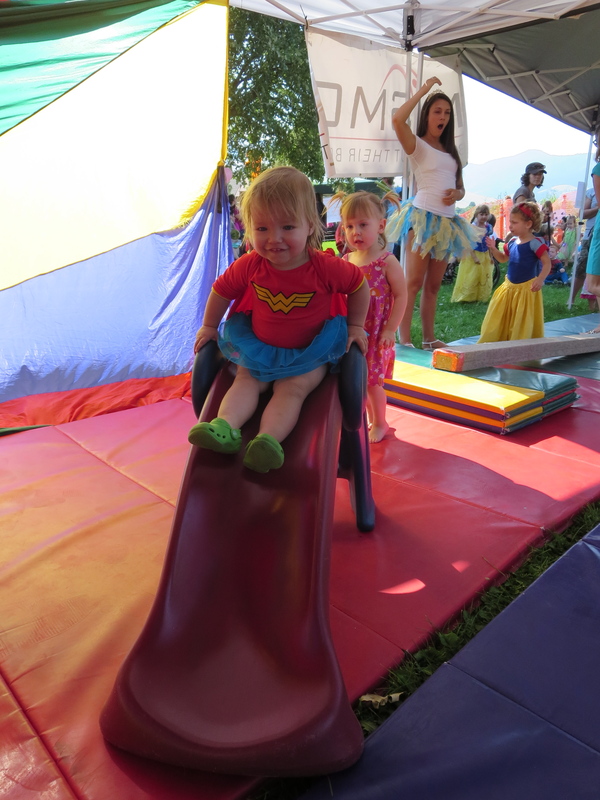 You will never guess what they had there…A SLIDE!!! 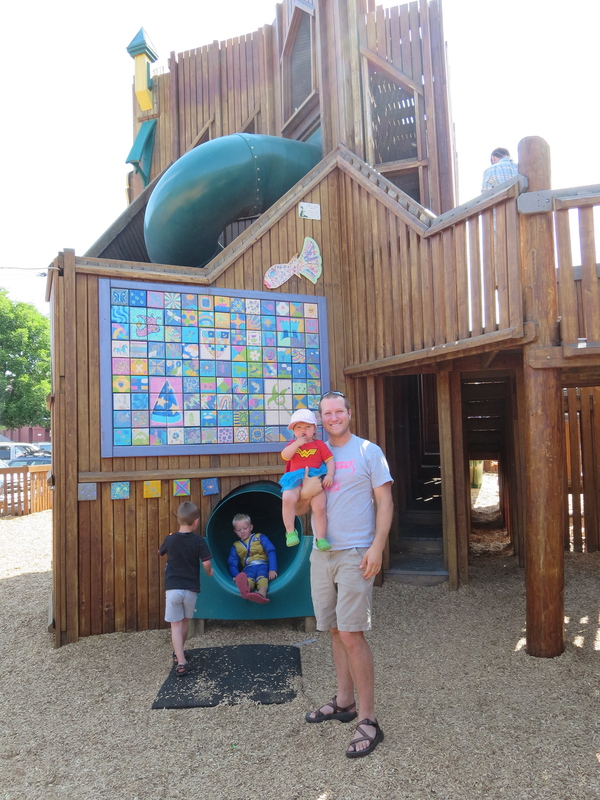 We had to flee the party for the real playground where slides and swings abound. We sent Josie down the biggest slide and she did not come out the bottom – she was stuck. While Matt and I yelled back and forth discussing if he should crawl up or I should crawl down, Josie scooted her way out. She looked spent. 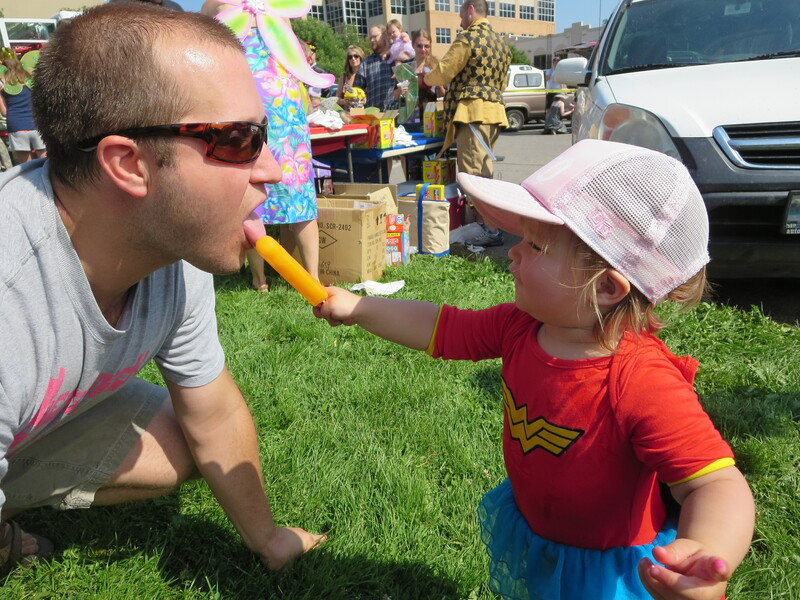 We ended the day with a popsicle and some superhero swinging. Some for Dada, most for me!